If you wear makeup everyday like me, you also use your makeup brushes every day. But do you also wash your makeup brushes every day? Well, you don’t really need to wash them every day, but you should be washing them often. Believe me, this a surprise for me also. I confess, when I first started wearing makeup it never crossed my mind that I should be cleaning the brushes I use. When I think back on that it makes me cringe and honestly gag a little bit. 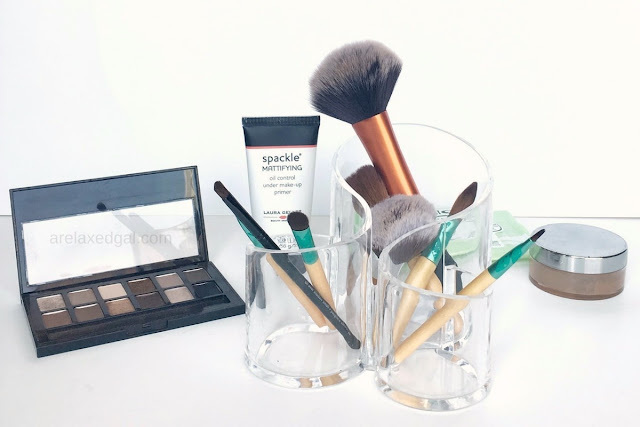 It’s important to clean your makeup brushes often because every time you use the brushes little bits and pieces of makeup, dirt, skin, oil, and bacteria get trapped in the bristles. Is that something you really want touching your face every day? I know I don’t. The dirt trapped in the bristles can cause irritation to your skin and cause breakouts. Also, cleaning your makeup brushes often, when done properly, can extend the life of the brushes. This is a good thing because good makeup brushes aren’t cheap and you don’t want to always shell out money buying new brushes when you don’t have to. I’ve seen some people say they clean their makeup brushes daily, but I clean my makeup brushes once a week as I haven't found it necessary for me to clean them more frequently. Here’s what I do to clean my brushes each week. The one I’m using right now is the SheaMoisture African Black Soap Deep Cleansing Shampoo. If you don’t have one on hand or want to save a little money, you can also use baby shampoo or even hand soap. I clean my brushes in my bathroom usually in my sink. Occasionally I'll use a bowl or plastic container instead of the sink. 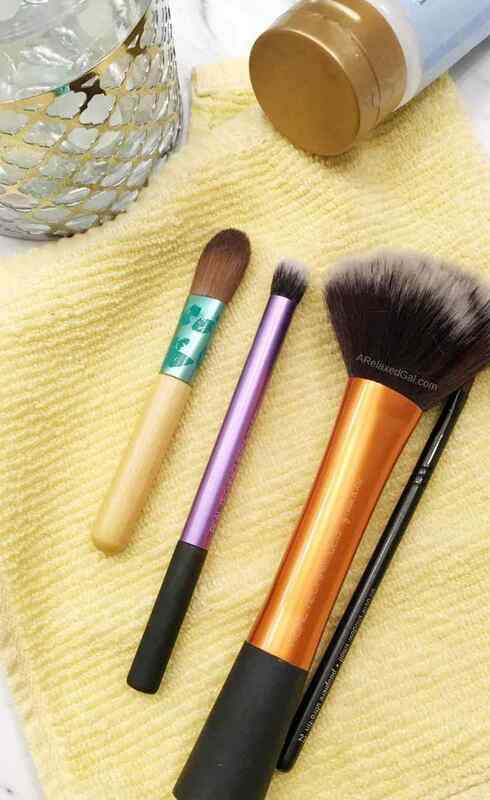 There are many tools out there to help you clean your makeup brushes. Tools like this brush cleaner mat set or the brush egg which help you to scrub your brushes clean. I haven't invested in tools like that yet so I just use my hands. I use the washcloth to help dry the brushes. This is a given since they're what is being washed. To start I wet the brush bristles one of two ways. 1. Run some warm water over them or 2. soak them in a small bowl with warm water and a gentle shampoo or soap. I then take a small dab of the shampoo or soap on my fingers and massage it into the bristles. After massaging the shampoo I rinse the bristles in warm water until the water runs clean. If it seems there’s a lot of makeup in the bristles I repeat the shampoo and rinse steps. To dry the brushes I dab the bristles with the washcloth and gently reshape the bristles. Then I lay out the brush on the washcloth to start drying. Later during the day, I put the brush in my brush stand with the bristles up. I’ve found my brushes dry quicker that sitting up than laying down and the bristles stay in shape. To do a deeper clean of my brushes I will soak my brushes in a small bowl that I fill with warm water with a few tablespoons of hydrogen peroxide or witch hazel. Then I go through the four steps noted above for cleaning my brushes. The hydrogen peroxide and witch hazel act as an extra measure for removing bacteria in the brush bristles. It’s that simple and only takes a few minutes to do which is well worth it.